Just because you can Google an image and find it easily online doesn’t mean you can use it on your site. There’s a misconception online that if an image can be freely searched and found, it can be used by anyone. Bloggers have been fined thousands of dollars, and my cousin once received a threat from a photographer because she used an image on her site she did not get permission to use. If you search for “free stock photos” or “free images for your website” you will be bombarded with links to many stock photo and image sites. But always read the terms. Just because it’s free, doesn’t mean there aren’t rules. Sometimes you have to give a link credit to the site/owner, or you can only use the images on non commercial pages, projects, etc. Quick Tip: Canva is a GREAT place to create images for your site, BUT they have a clause in their terms that limits how you can use their images in commercial projects. Many people don’t even know this. If you’ve created your site to make money, it’s important to make sure you comply with the terms set by the site you downloaded the image from. This article has a nice list of images that are “free for commercial use” and you don’t have to worry if it’s OK or not to use them on your commercial projects. 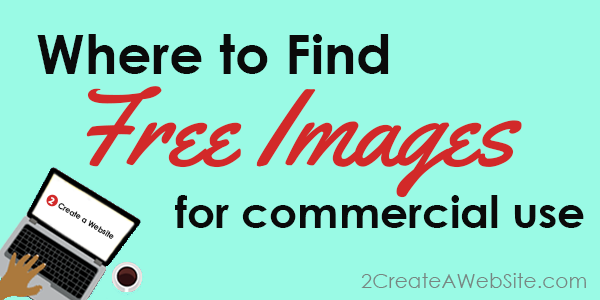 Remember, images marked “free” may have different rules for commercial use. Always, always, always read the terms of websites you download images from. Pixabay offers free images and video for commercial use under the Creative Commons CCO. For images that you see at the top of my posts, I create them myself in Photoshop, which has been one of the best investments in my business over the long term. But for stock photos, I have a premium subscription to iStock Photo. This is not ideal for new site owners or people on a budget. Save your money. I have the subscription for peace of mind, and it’s so much easier to find a variety of high-res photos without having to worry or wonder if I have rights to use it. However, I’m pretty sure you can find plenty of “free for commercial use” images by following the link already mentioned here. Go back to the WordPress Customization homepage.